The Israeli Knesset has given final approval to a bill forbidding entry visas and/or residency rights to foreign nationals who call for economic, cultural or academic boycotts of either Israel or its settlement expansion activities - a move opposition MPs have said is intended to "silence" critics of Israel's conduct. The ban applies to any person who "knowingly issues a public call for boycotting Israel that, given the content of the call and the circumstances in which it was issued, has a reasonable possibility of leading to the imposition of a boycott." Moreover, it not only covers called-for boycotts against Israel, but also boycotts of any Israeli institution or "area under its control," such as the settlements. The Interior Minister can make exceptions to the rule if they deem it warranted in a particular case. Although the Justice Ministry urged the Interior Committee to make an exception for Palestinians with temporary residency in Israel, such as those admitted under the family unification program, who spend several years as temporary residents before receiving permanent residency, the proposal was rejected. Roy Folkman of the Kulanu party, who sponsored the bill, said the law represented "balance between national pride and human rights." "It's possible to feel national pride and still believe in human rights. It's possible to defend the name and honor of the State of Israel and there's no shame in that," Folkman said. However, Ayman Odeh, leader of the Joint List, strongly criticized the legislation, telling the Knesset that thousands of Jews support a boycott of the settlements. "These are people who act not against the state but against the occupation. I'm against the occupation and for a boycott of the settlements that are a war crime and the theft of land from private individuals. The occupation will end up making Israel a leper everywhere," Odeh warned. Palestinian citizens alone do not have the power to bring about future of democracy equality & peace. But no one can achieve it without us. Dov Khenin of the Joint Arab List asked, "who today doesn't oppose a boycott of the settlements?" "Look at the UN, at the EU, at what's happening in the international community. Do you want to boycott all of them and refuse them entry to Israel? The whole world thinks the settlements are illegal. 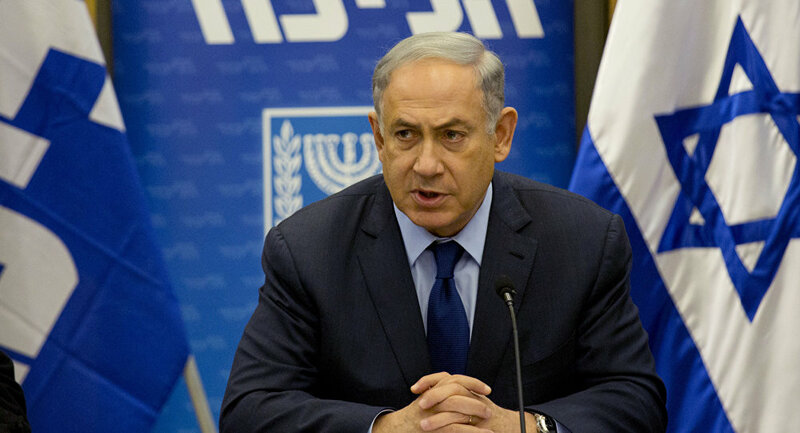 You are essentially promoting a move that will strengthen the boycott of Israel," Khenin said. Tamar Zandberg of Meretz said the law was "against freedom of expression," constituted "political censorship," and was intended to "silence people." "It's ostensibly against the boycotters of Israel but it doesn't make a distinction between Israel and the settlements and it thus serves the BDS [Boycott, Divestment, Sanctions] movement," he added. Dr. Amir Paz-Fuchs, Senior Lecturer in Law, University of Sussex, said the law is a demonstration the BDS movement was hurting Israel's international legitimacy. "The law shoots itself in the foot. It makes no distinction between Israel and the occupied territories, feeding directly into the BDS narrative that there is no difference between the two. 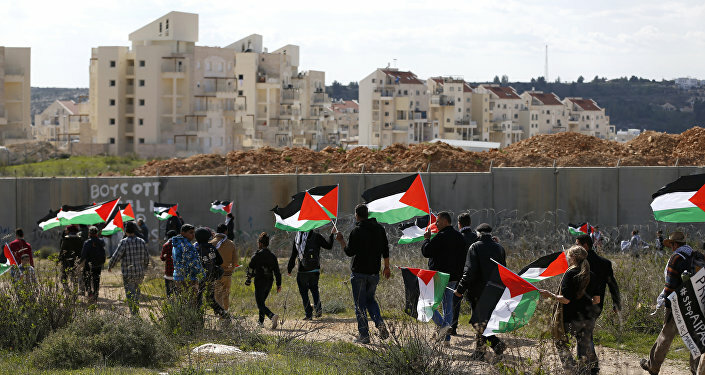 The morality of the settlements is very straightforward to anyone who isn't biased — it's a colonial, apartheid structure in the occupied territories," Dr. Paz-Fuchs told Sputnik. He added that the unanimity of left and right MPs in parliament on the issue, demonstrated that what remains of the center-left in Israel "is receding." "A tragic aspect of this story is that left Zionist MPs voted in favor of the measure, on the basis their supporters likely expected them to do so — similar to the UK Labor party on Brexit. The center-ground in Israel is collapsing," Dr. Paz-Fuchs concluded. In a statement, Rebecca Vilkomerson, Executive Director of Jewish Voice for Peace, said the law would ban her from visiting Israel, despite her grandparents being buried there, her husband and children being citizens, and having lived there for three year herself. The Association for Civil Rights in Israel (ACRI) also weighed in, saying the law violated basic democratic rules. "Those who wish to visit certainly do not have to toe the current Israeli government's position on the issue of occupation. The Knesset has exceeded its authority. The lands the law applies to are occupied territories, located outside of the sovereignty and the jurisdiction of the State of Israel, and are expropriated from persons who are not citizens or residents of Israel, and therefore not represented in the legislative process which they are victims of," the group said. Take a Stand Against Demolishing Homes and Allow Construction! The move is just the latest salvo fired by the Israeli government against its critics. A law passed by the Knesset in July 2016 targets human right groups, imposing onerous reporting requirements that burden their activities. While the law's wording does not specifically refer to any organization, pro-Israel NGOs are not impacted by its requirements. In August 2016, five US activists aiming to investigate living conditions for Palestinians in Israeli-occupied areas were arrested, detained and then deported, as well as being banned from ever returning. In December 2016, Israel detained African theologian Isabel Phiri over claims the organization for which she works, World Council of Churches, supported sanctions against Israel. Palestinian rights defenders have also received anonymous death threats, been subject to travel restrictions and even arrested and charged on questionable grounds. In February this year, the government refused to issue visas to Human Rights Watch (HRW) staff, accusing the group of having an "extreme, hostile and anti-Israel agenda." The organization described the move as "ominous," and a sign the state had "no appetite" for serious scrutiny of its human rights record. "This decision and the spurious rationale should worry anyone concerned about Israel's commitment to basic democratic values. It's disappointing the Israeli government seems unable or unwilling to distinguish between justified criticisms of its actions and hostile political propaganda," said Iain Levine, Deputy Executive Director for Program at HRW.